BBQ Rack: Our half moon bbq rack allows you to keep the fire burning while you cook over the hot embers. If you need more heat all you have to do is rake some extra embers over. (Please see accessories section for the perfect rake for the job). 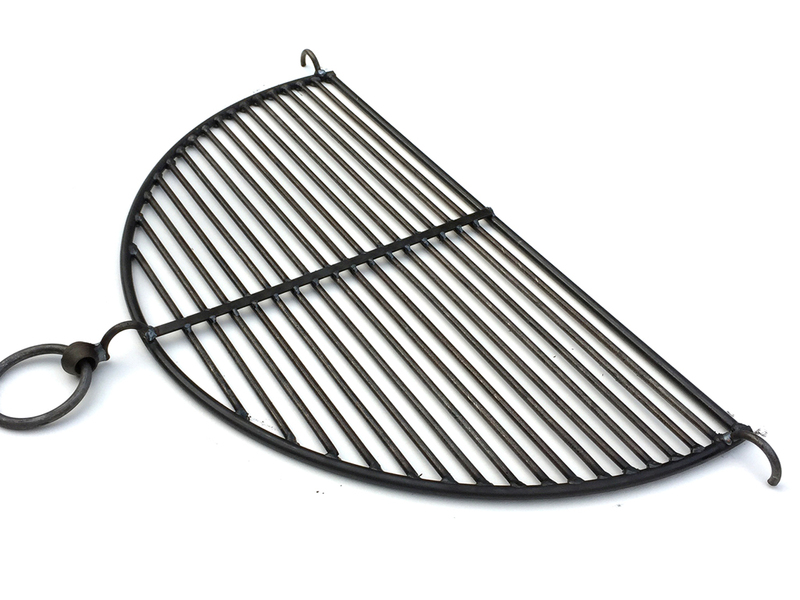 If you need to cook a greater verity of vegetables and meats please see our half bar / half plate bbq rack. 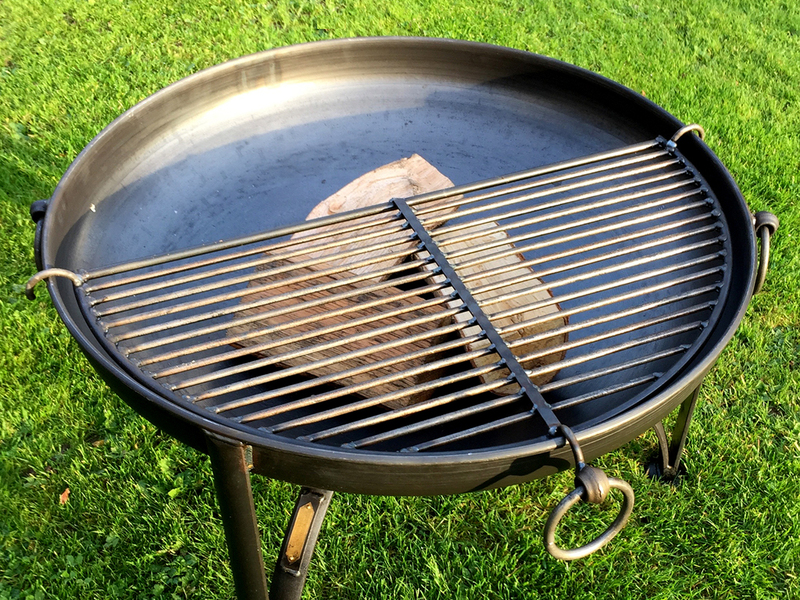 Maintenance: Remember after cleaning your bbq rack to oil if with Olive oil.